Aerris Smith is what college basketball is all about. 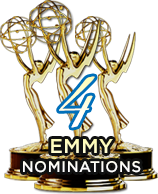 He truly goes out a winner. Mount St. Mary's won three road games to win the NEC Tournament. Jamion Christian talks about the run. 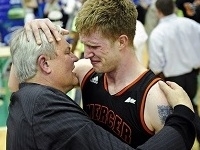 Mercer's Bob Hoffman talks about the Bears three-year journey to get to the NCAA Tournament. 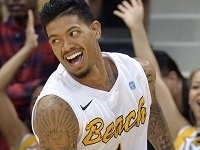 LBSU's Tyler Lamb talks about his favorite crazy fan story, Big West tourney and more. 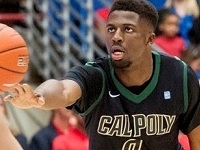 Cal Poly's David Nwaba talks about tattoos, his nickname and the Big West Tournament. 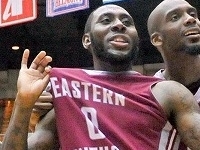 Eastern Kentucky's Glenn Cosey enters the Player's Club to talk about going to the Dance. 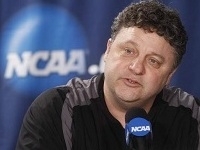 Eastern Kentucky's Jeff Neubauer talks about the excitement of going to the Big Dance. 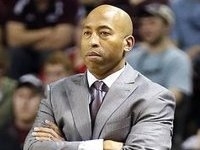 Southern's Roman Banks talks about leading the SWAC, but being ineligible for the Dance. 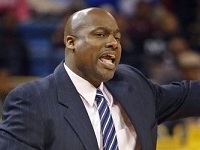 North Carolina Central coach LeVelle Moton talks about winning the MEAC and what's next. 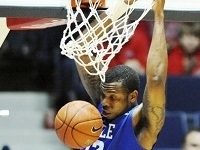 Middle Tennessee senior Shawn Jones talks about the stretch run and the keys for success. 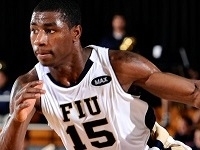 FIU's Tymell Murphy talks about joining the 900 point club and his favorite moments at FIU. 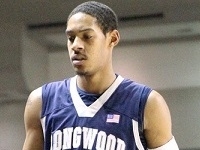 Longwood's Tristan Carey talks about his senior season and being the leader on the team. 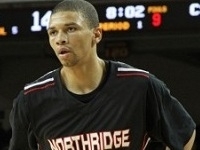 Cal State Northridge's Stephan Hicks talks about the season to date and what's ahead. 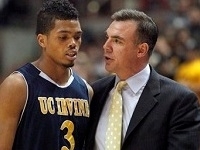 UC Irvine's Russell Turner talks about his 7-footers, international players and more. 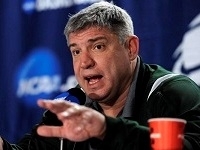 Vermont's John Becker talks about this year's team and the Catamounts winning tradition. 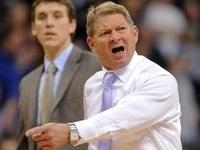 Weber State's Randy Rahe talks about why his team is playing so well after a slow start. Western Michigan's David Brown talks about his journey of adversity after so many injuries. 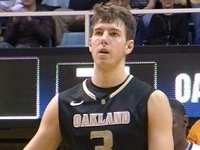 Oakland's Traivs Bader talks about breaking the record and getting congrats from J.J. Redick. 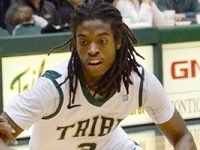 William & Mary's Marcus Thornton talks about the Tribe's quest for a first-ever NCAA appearance. 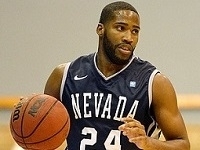 Northern Colorado's Derrick Barden talks about the Big Sky race and what's ahead for the Bears. 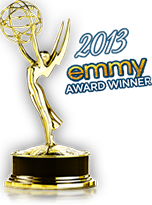 America's first-year coach Mike Brennan talks about the success the Eagles have had to date. 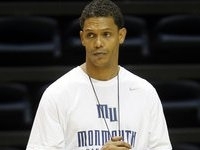 Monmouth's King Rice talks about the move to the MAAC and having 10 newcomers and no seniors. 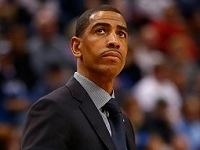 UConn coach Kevin Ollie talks about Coach Calhoun and Shabazz Napier's passion for fishing. 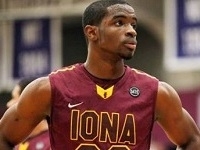 Iona's Sean Armand talks about not getting recruited and getting back to the Big Dance. 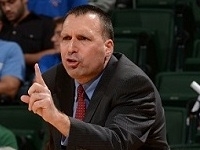 Ohio's Nick Kellogg talks about what the Bobcats need to do get back to the NCAA Tournament. 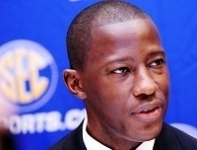 Alabama's Anthony Grant talks about continuing to build a program and their academic success. 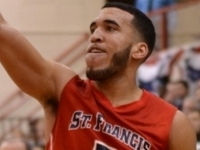 St. Francis Brooklyn's Jalen Cannon talks about how the program has become a factor in the NEC. 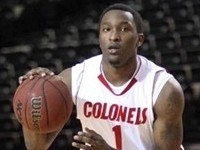 Nicholls State All-American candidate Dantrell Thomas talks about the Colonels and SLC race. North Florida's Travis Wallace talks about his team and the Atlantic Sun Conference race. 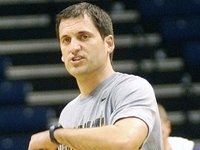 Murray State head coach Steve Prohm talks about his team, which is playing its best basketball. 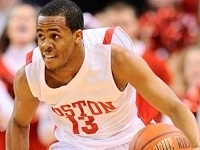 BU's D.J. Irving talks about being a leader, expectations this season and his celebrity crush. Nicholls State's J.P. Piper talks about his All-American candidate Dantrell Thomas and much more. 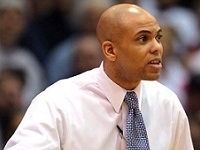 Quinnipiac head coach Tom Moore talks about the Bobcats first season in the MAAC and much more. 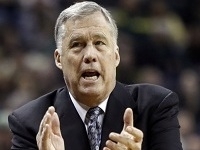 Charlotte coach Alan Major talks about the 49ers great balance and his star guard Pierria Henry. 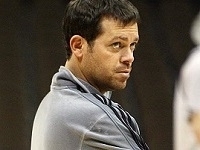 Montana State head coach Brad Huse talks about his team's great balance and the Big Sky. 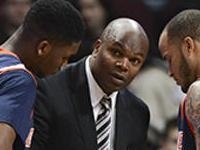 Missouri State head coach Paul Lusk talks about the loss of the Bears leading scorer. 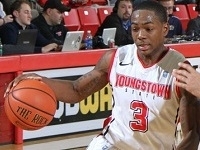 Youngstown State's All-American Kendrick Perry talks about hoops, cooking and academics. 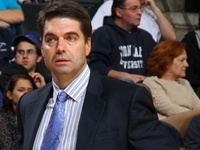 Jimmy Patsos talks about the MAAC, how the team has improved and the Bartender of the Year. 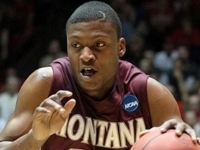 Montana's Kareem Jamar talks about the season and an emotional hug with his brother after a game. 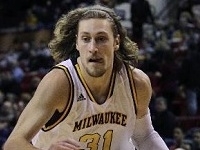 Milwaukee's Matt Tiby talks about finally being able to play with the team and have an impact. Mississippi State's Rick Ray talks about already surpassing last season's win total and what's ahead. 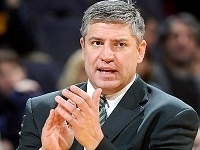 William & Mary's Tony Shaver talks about building toughness and the team's early-season success. 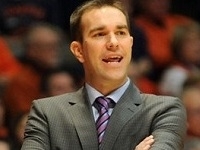 IPFW head coach Tony Jasick talks about the Mastodons success, which is keyed by great balance. 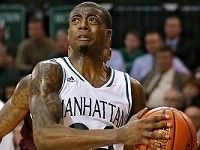 Manhattan's George Beamon talks about coming back from injury and taking on the leadership role. 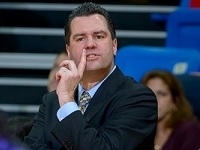 Manhattan head coach Steve Masiello talks about building off year's late-season run and more. 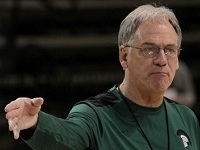 Ohio's Jim Christian talks about his team's great start despite losing three 1,000 point scorers. 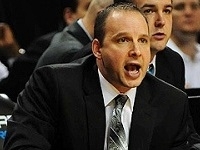 Toledo's Tod Kowalczyk talks about the great start and the difficult road ahead in the MAC. 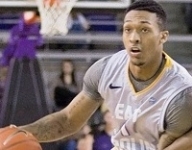 East Carolina's sharp-shooter Akeem Richmond talks about the new-look Pirates and the challenges ahead. Colgate's Matt Langel talks about the Raiders who are among the top 3-point shooting teams in America. 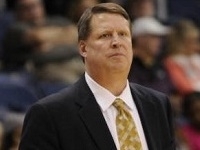 VMI's Duggar Baucom talks about the Keydets' frenetic pace, the new rule changes and more. 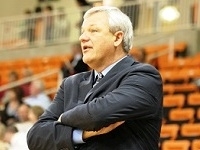 Mercer's Bob Hoffman talks about his team's great start, which includes a win over Ole Miss. 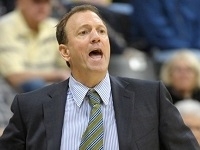 Oakland's Greg Kampe talks about his team's slow start and dealing with the Duke Mondy issue. 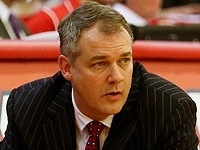 Stony Brook coach Steve Pikiell talks about how his program has become perennial contender. 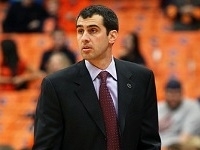 The 3-Point Play looks at Princeton, Drexel and Siena's new head coach Jimmy Patsos. 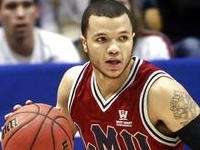 Loyola Marymount's Anthony Ireland talks about how he has become a team leader. 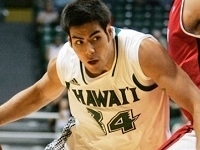 Hawaii's Christian Standhardinger talks about the team and Christmas in Hawaii. 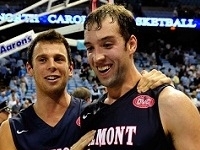 Belmont's J.J. Mann talks about the holidays, a passion for bowling and the season to date. 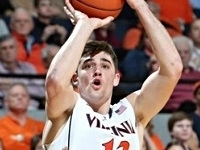 Virginia's Joe Harris talks his journey and the doubt he faced from the media. Saint Mary's junior Brad Waldow talks about his team, some harmless pranks and more. 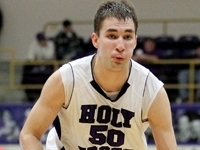 Holy Cross senior Dave Dudzinski talks about, the Crusaders, his progression and fishing. Wyoming's Larry Nance, Jr. talks about his team, his dad who was an NBA All-Star and more. 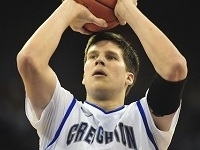 Creighton All-American Doug McDermott talks about the Bluejays and his goals for the season. 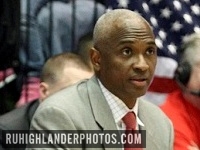 Radford's Mike Jones talks about the Highlanders best start in 20 years and much more. 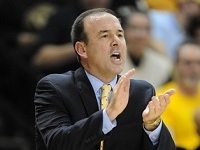 Oral Roberts' Scott Sutton talks about his 10 newcomers and All-America candidate Shawn Glover. 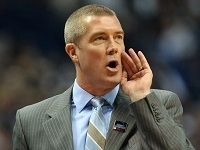 Old Dominion's new coach Jeff Jones talks about leading the Monarchs into Conference USA. 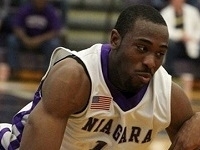 Niagara's Antoine Mason talks about growing watching his dad play in the NBA and much more. 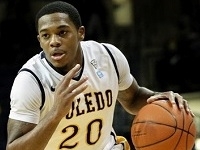 Toledo's Julius Brown talks about the Rockets great start and the tough road ahead. 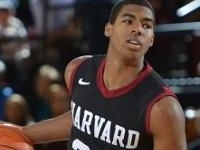 Harvard's Wesley Saunders talks about his game and the season to date for the Crimson. 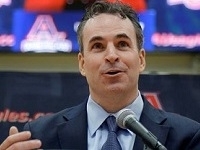 George Washington's Mike Lonergan talks about his talented team, which is off to a great start. Cal's Richard Solomon talks about his growth as a player and what he need to improve upon. 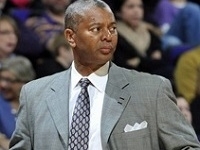 Holy Cross head coach Milan Brown talks about his team's character in dealing with injuries. 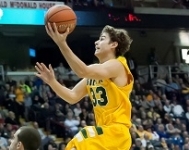 Siena's Jimmy Patsos talks about a tough non-league schedule and he answers questions from coaches. 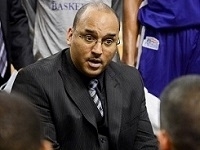 Abilene Christian head Coach Joe Golding talks about leading the program to Division I this season. South Florida's Corey Allen, Jr. talks about how the season is a marathon and not a sprint. 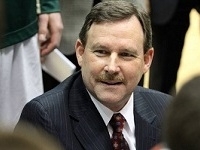 Loyola's new head coach G.G. 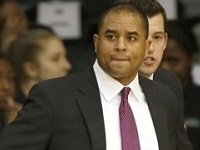 Smith talks about his new job, Dylon Cormier, Patriot League and more. 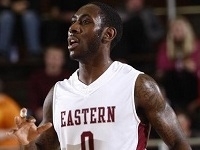 Eastern Kentucky's Glenn Cosey talks about expectations, eating on the road and much more. 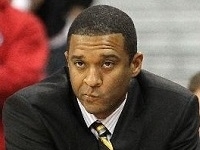 Milwaukee coach Rob Jeter talks about the Panthers good start and being picked last in the Horizon. Georgia State's R.J. Hunter talks about playing for a postseason opportunity and playing for his dad. about his decision to return for his senior year and more. North Dakota's All-American Troy Huff returns to the Player's Club to talk about this season to date. 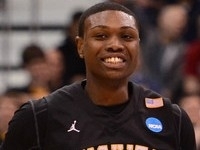 Wichita State All-American Cleanthony Early talks about the Shockers and the 2013-14 season. 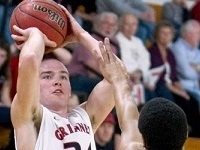 Grinnell's Jack Taylor talks about his recent 109-point performance on 24 3-pointers. 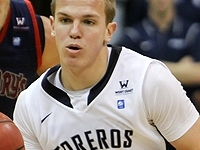 Pepperdine's Marty Wilson talks about the Waves good start and his All-American candidates. and Lafayette and exempt games. 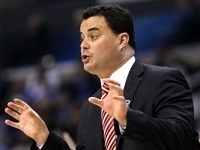 Brad Holland talks about Arizona ball, BYU's Tyler Haws and Randy Bennett and St. Mary's. 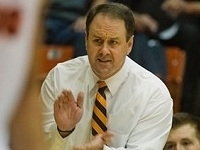 Pacific's new coach Ron Verlin talks about the task of following in the footsteps of Bob Thomason. 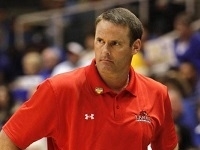 Lamar's Pat Knight talks about building a program and the influence of his father, Bob Knight. 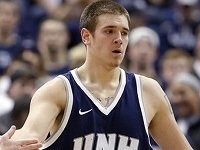 New Hampshire's Chris Pelcher talks about beating Duquesne and the challenges ahead. 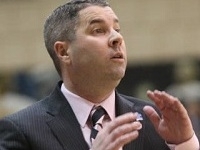 Towson's Pat Skerry talks about turning around the program and being postseason eligible. Kyle Macy talks about rankings, tournaments in which you can't advance and the hand check. 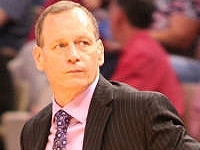 Belmont's Rick Byrd talks about beating North Carolina and the process of building a program. 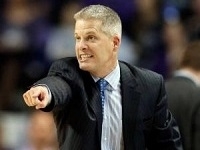 Indiana States Greg Lansing talks about beating Notre Dame and the Larry Bird statue. 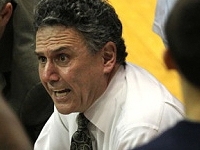 LIU-Brooklyn coach Jack Perri talks about his team, which seeks a 4th straight NEC crown. 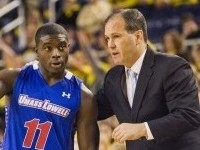 UMass Lowell's Pat Duquette talks about the River Hawks' jump to Division I.
St. Francis Broolyn coach Glenn Braica talks about his team's toughness and resiliency. 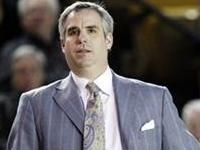 Long Beach State's Dan Monson talks about the 49ers tough non-conference schedule. Northern Colorado's B.J. 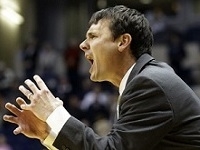 Hill talks about beating Kansas State and his basketball program. La Salle senior point guard Tyreek Duren talks about Coach G and playing in Philly. 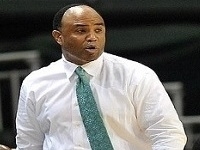 USC Upstate's Eddie Payne talks about his team's upset win at Virginia Tech and more. 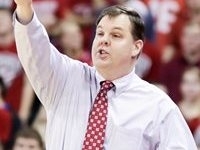 Brad Holland talks about Mike Montgomery, Stew Morrill, Randy Rahe and more. 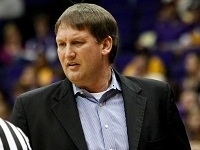 Kyle Macy talks about the transfer rule, Kentucky and Johnny Jones and the LSU Tigers. 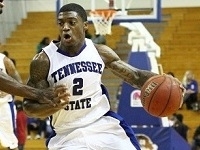 Tennessee State's Patrick Miller talks about the Tigers young team and much more. 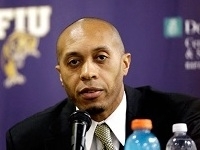 FIU's new coach Anthony Evans talks about the opportunity to coach in South Florida and more. Binghamton's Jordan Reed talks about being the leader on a young team and much more. 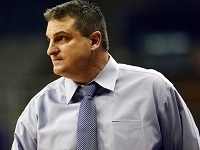 La Salle head coach John Giannini talks about life without Ramon Galloway and much more. 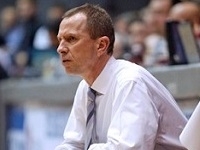 Siena's Rob Poole talks about the new coach, the young team and FIFA World Cup 2014. South Alabama's Augustine Rubit talks about the upcoming season and much more. 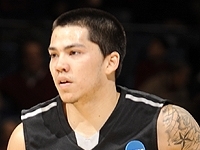 Wagner's Kenny Ortiz talks about, the Seahawks, game-winning shots, tattoos and much more. UNC-Wilmington's Buzz Peterson talks about not having to deal with the APR this season. North Dakota State's Taylor Braun talks about not be recruited and much more. 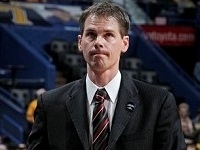 Brad Holland talks about the hiring process, NCAA power and coach Steve Fisher. Marshall head coach Tom Herrion talks about his Thundering Herd as they prepare for the season. 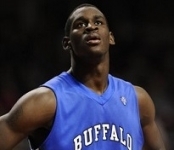 Buffalo's Preseason All-American Javon McCrea talks about the 2013-14 season. 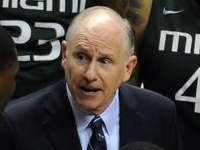 Jim Larranaga talks about Miami's 29-win season and what's ahead for the Hurricanes this season. Kyle Macy talks about Kentucky tradition, conference realignment and the handshake rule. 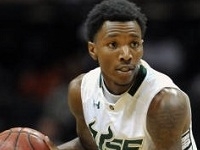 USC Upstate's All-American candidate Torrey Craig talks about the season ahead. 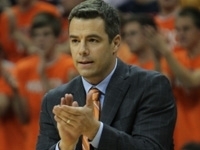 Virginia's Tony Bennett talks about the new-look ACC and what his team needs to work on. LIU-Brooklyn's Jason Brickman talks getting back to the Dance, Zombies and Tacos. 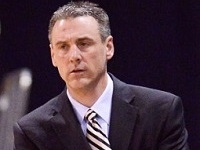 Akron head coach Keith Dambrot talks about the Zips, the Mid-American Conference and more. 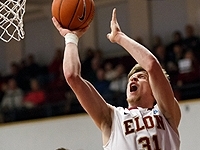 Elon's preseason All-American Lucas Troutman talks about his team, Duck Dynasty and more. 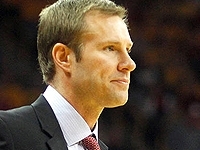 Iowa State head coach Fred Hoiberg talks about replacing some key losses from last year's team. 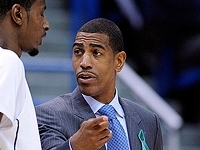 Dave Calloway talks coach Kevin Ollie and UConn, LIU-Brooklyn and SBU's Jameel Warney. 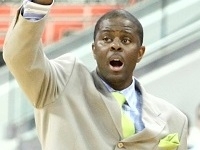 Norfolk State's new head coach Robert Jones talks about recent success and the underrated MEAC. 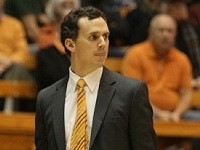 Brad Holland talks about UCLA, UC Santa Barbara, Instant Replay and more. 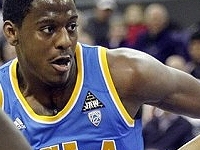 UCLA's Jordan Adams talks about returning from injury, the 2013-14 season and much more. 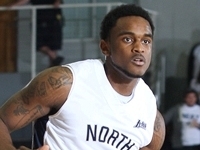 San Diego guard Johnny Dee talks about the upcoming season, his faith and much more. 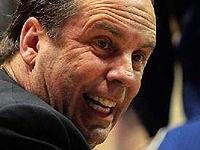 Mike Brey talks about Notre Dame's first season in the ACC and the challenges his team faces. 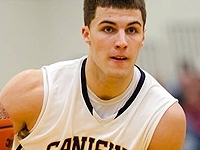 Baron (Canisius) talks about the Giffs heading into the season. 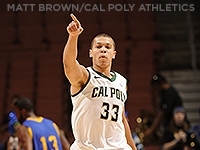 Chris Eversley (Cal Poly) is one of college basketball's best-kept secrets. He talks about 2013-14. 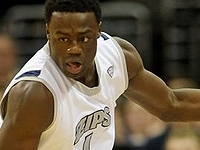 Mid-Major All-American Demetrius Treadwell (Akron) talks about the Zips and the upcoming season. 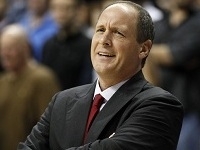 Bob Marlin (UL-Lafayette) talks about his unknown stars, the Sun Belt and more. 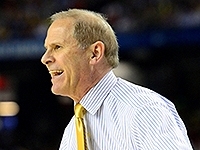 John Beilein (Michigan) talks about an encore to last year's run and much more. 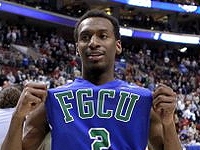 Bernard Thompson (FGCU) talks about Dunk City, Hip-Hop and the 2013-14 season. 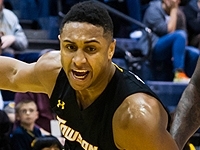 Preseason All-American Jerrelle Benimon (Towson) talks about the upcoming season.